Frankly I don't care much about typical souvenirs. I think of them as dust collectors, because that is more or less all they are good for. That is why I usually don't bring anything from my trips. However even with that kind of an attitude I sometimes find useful items that just have to come home with me. Actually there are quite a few useful things I could recommend from Sardinia. 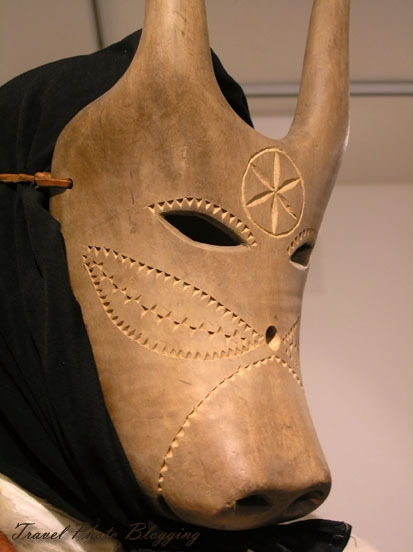 If you have a wall to hang wooden masks on, there are some interesting examples available from Sardinia. If you look around, you can get good prices for handmade goods of good quality. If you like coral jewelry, Sardinia is a place where you can get a good selection of quality items for reasonable prices. From the places we visited on Sardinia, Alghero seemed the best for buying such items. One can choose from numerous shops in narrow streets of this medieval city. Some of them offer really interesting pieces of coral craft work, necklaces and earrings being the most popular of many. The choice of various food products worth considering is really great. One can choose from a variety of pasta products, cheeses, wines and many more. I recommend looking for local wineries where you can try various sorts of wine. Also ask for Moscato - a strong liqueur-like dessert wine. They classify it as vino liquoroso. The best place to buy local cheese is where they produce it. Look for sings advertising formaggi sardi or formaggi vendita when you drive on one of many inland winding road. Among various kinds I liked pecorino (sheep cheese) and caprino (goat cheese) best. I should probably point out it can be a bit of a challenge to transport cheese in summer months since it should be stored at around 10 degrees Celsius. As an alternative there are also many tasty dried meats you can choose from (Salsiccia is just one of them). Visit one of many agriturismi (tourist farms) to try and buy the real stuff. 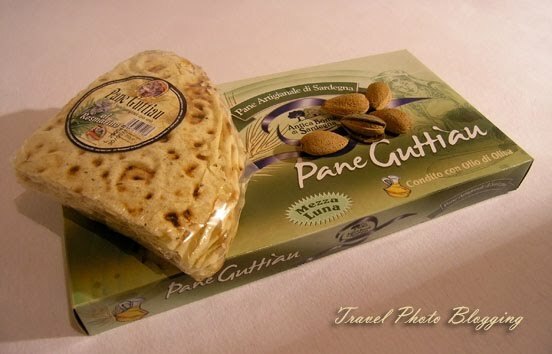 An ideal item for transportation is Sardinian flat-bread. There are many varieties of it - Panne Guttiau and Pane Carasau being just two of them. Apart from all these things you have to pay for, there are also some souvenirs, you can get for free. For instance, with a dash of inventiveness you can turn a bowl of beach sand in an interesting living room decoration. On Sardinia you can find stones and sand of virtually any colour. Also there are almond trees growing practically everywhere. If you happen to be on Sardinia in September you can easily stop by the road and pick some almonds - considering it isn't from someone's garden of course. Almonds can be ideal for a quick snack or for taking them home. In this way even your friends back home can get a taste of Sardinia.